I know I mentioned this to you all before, but this hockey season was quite an interesting one. I felt like I was unhappy throughout the whole season, but now that’s its over I can actually look back and say,”That wasn’t too bad!” I realized a big lesson: you need time to really tell how you feel about a team and you need time to learn things about yourself, too. So, when the going gets tough, you have to wait it out because it might just turn around. Playing sports and being a teenager is hard enough, but confidence and experience will guide you to do great things. I started this team feeling like an outsider and loner. If it wasn’t for feeling like I was unhappy and felt like I didn’t belong, I would have never pushed myself to the limit. In the age of instant gratification there are times you MUST WAIT. 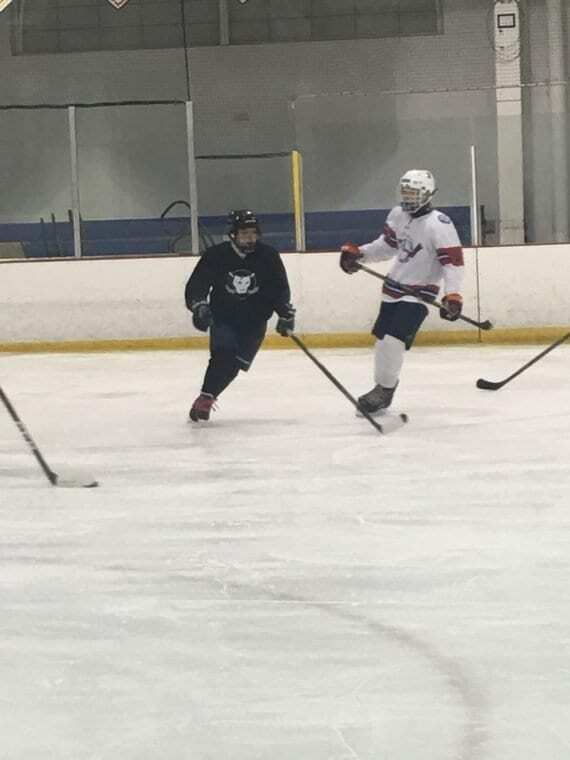 During this season I got out of my comfort zone by trying to play new positions, facing boys who were 2x the size of me and beating them, either in a face off or a nice check to the boards. I’m happy that I played in my high school’s league. I had great coaches and unique teammates who I got to know, bond with and share a couple of laughs too. I’m going to miss them, but hopefully I will return next season. When times get rough, especially during hockey season you’re going to have to spread your wings, let your GUT guide you and TAKE THE CHANCE. When I felt discouraged and VERY upset with my team because all we did was lose I knew I needed a change and I was determined to get one. I was so upset that I would get on the ice and just find myself so absorbed with wanting to do better and have our team win. I realize that it pushed me to a place that I never thought I would be. I feel confident and more experienced in the game and I actually see more clearly what I want from the rest of my hockey experience. Now looking forward into my future in hockey, I’m going to try out for an all girls league. I’m very excited and quite nervous. Once again I’ll be jumping out of my comfort zone, doing something new that will make me stronger and an experienced hockey player. I look forward to playing with new teammates and getting to know new coaches. This team will make me push my limits, and go harder in my game. I’m looking forward to the hard work to help me go far! I started playing ice hockey when I was 15. Throughout my journey there has been many bumps in the road but also great sights to see along the way and I'm here to write all about it!